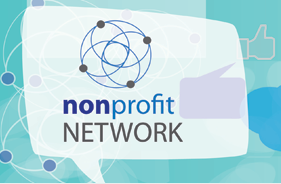 The Nonprofit Network is an online resource for nonprofit organisations, particularly those based in South Africa, in using social media, websites and e-newsletters. The site was commissioned by the Open Society Foundation’s Public Health Programme: Health Media Initiative to assist their grantees with their web and social media work. Developer Ruen Govinder is passionate about helping nonprofit organisations learn to engage with social media. According to Ruen a good social media strategy means “you can reach a much wider audience and engage with them: teach them about your cause, ask them to support you by volunteering, contributing funds, or promoting your work to their networks. Used well, social media means maximum impact for minimal effort”. The Nonprofit Network website will a go a long way in assisting you to develop that ‘good’ social media strategy that you need. It has over 50 tutorials on how to optimally use ‘websites, Facebook, twitter, U-tube, Linked-in etc. etc. to enhance the work of your organisation and also features case studies of local organisations to inspire you. If you are not already implementing a social media strategy, you might have been meaning to learn more about it – here is your chance – start by reading the reasons for being on various social media platforms featured on the site’s home page this month. Over the next few months you will also be able to download free e-books to assist you with developing e-communications strategies, social media policies and improving your website and social media platforms. Thank you. This is very informative. I like the 50 tutorials and the inspirational case studies.